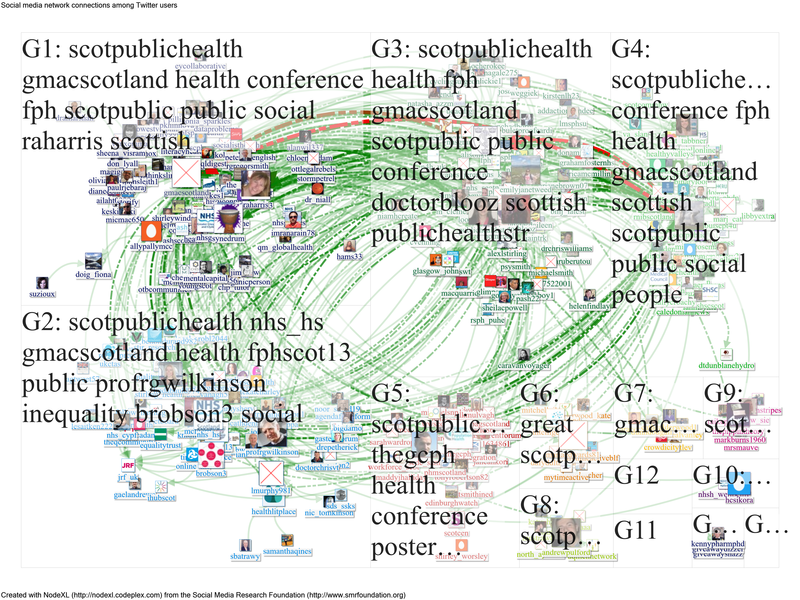 Since the 2015 Scottish FPH conference in Peebles there has been a lot of social media activity around #ScotPublicHealth, a hashtag introduced in the days following that conference. Since the first tweet on 10 Nov 2015 until 25 October 2016 there have been 11,750,000 “impressions”, over 5,350 tweets and 1,421 participants (after excluding spam activity). 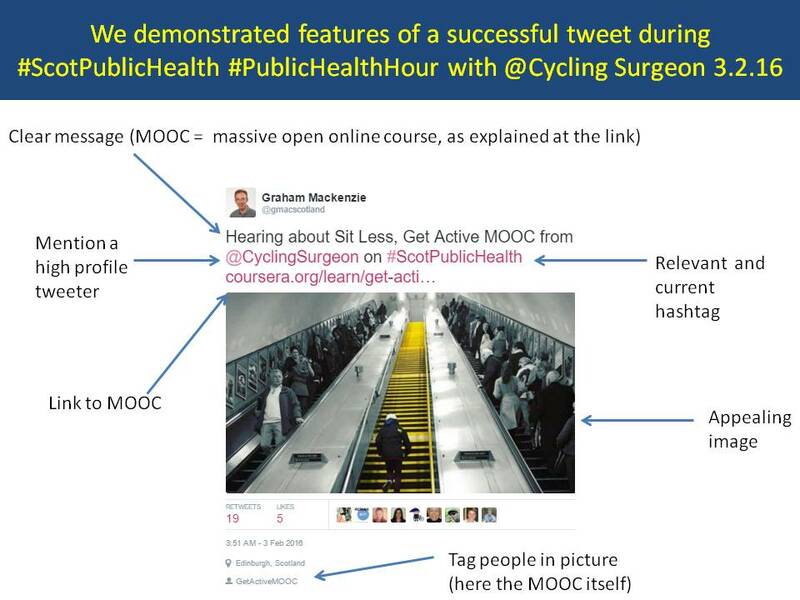 These are huge numbers, and reflect social media activity around five #PublicHealthHour sessions and more general tweeting around topics of interest (you can read blogs from each of the #PublicHealthHour sessions on this site). We are building a network, learning from each other, broadcasting Public Health messages to an ever expanding audience. Read the blog from the most recent #PublicHealthHour (with Dr. Cath Calderwood, Scotland’s Chief Medical Officer) for an example of #ScotPublicHealth activity. The 2016 conference at Dunblane will take the lessons that we have learnt from #PublicHealthHour sessions, plus a few others picked up along the way, and apply them to a whole conference and beyond. Ahead of the conference download the Twitter app if you have a phone or tablet (you can also use your computer). The conference venue has excellent Wifi so you should be ready to tweet shortly after you arrive. 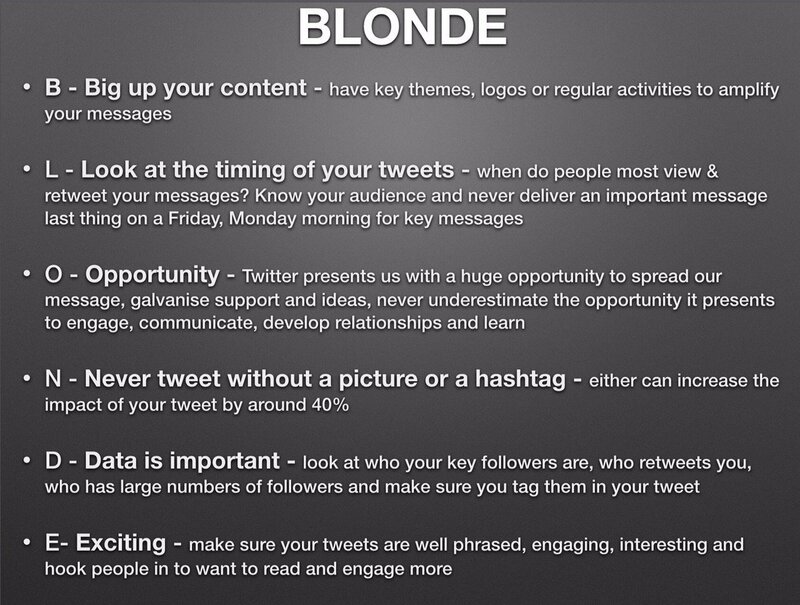 Have a clear idea of how to construct an effective tweet and how to use Twitter: be imaginative (eg images, videos), informative (eg links), reflective (find a new twist) and generous (follow others, mention people who may be interested). Some guides below (figures 1-3). If you’re new to tweeting, get in touch at the conference – plenty of people will be keen and able to help. Read the GMC guidance about using social media safely. 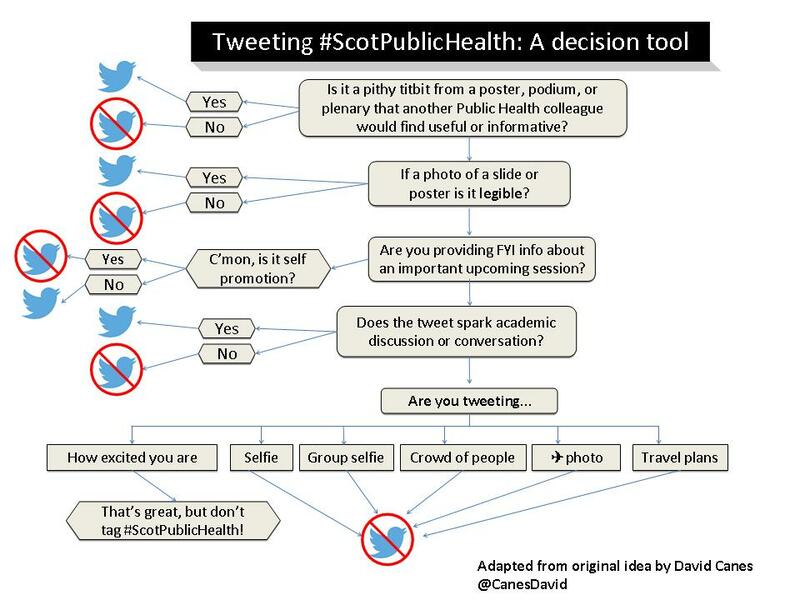 The most important single rule, if you want to engage during the conference and beyond, is to use the #ScotPublicHealth hashtag. This will help you and others identify relevant tweets during the conference, and outside the conference room when you return to your day job. We will be gathering the conference tweets using this hashtag in a summary “Storify”. We can use the information gathered around the hashtag to produce a social media map (or sociogram) showing the interconnections between our community and beyond. Figure 4 shows an early example using #ScotPublicHealth. We will compare activity against a sociogram from last year (full report here). You will also be able to use your device to ask questions in plenary presentations and panel sessions using a website called Slido (or log in to Slido.com and type in ScotPublicHealth). See figure 4 for the graphic I used to promote this on Twitter. (You can make your own animation using sites such as EzGIF or apps on your smartphone/ tablet).